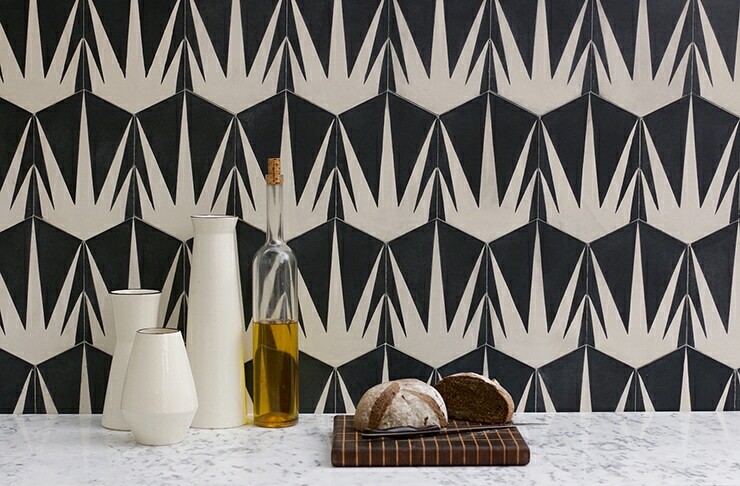 Cement tiles from Popham Design. I have a folder on my desktop called FUTURE BLOG. I endlessly drag URLs and photos into that folder, with the distant idea that someday I’ll get around to sharing this stuff on my blog. I think this is what people use Pinterest for, but that would make too much sense. Anyway, I looked through that folder today in an attempt to clean up my hard drive a bit (a.k.a. avoiding doing my taxes), and I came across a link to a cement tile company in Marrakech called Popham Design, distributed in the US by Ann Sacks. I found out about Popham a couple of years ago when I was visiting the Kohler factory in Wisconsin, and have had them in the back of my mind for a future project ever since. I got sucked into their gallery today and started saving images into the folder I’d just cleaned out—which got me thinking I should probably just put them in a blog post! 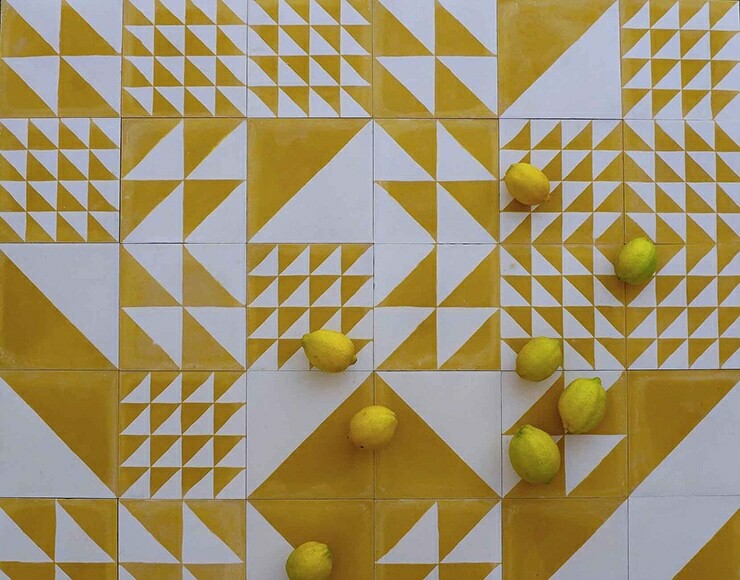 Imagine how many different patterns you could create by changing the positions of these tiles! That’s my favorite shade of yellow, too. If I owned my house, I would want to put cement tiles on my enclosed front porch. Right now it’s just plain old concrete. It’s nice and smooth, so this would be a simple weekend project! Even though Popham‘s tiles aren’t what you usually see in this part of the country, I feel like they’re not totally incongruous with New Mexican architecture, nor are they from a different planet than the 1930s tile in my bathroom. They’d work. Sometimes I feel like people I’ve never met and who have never heard of me are accidentally designing things that are definitely FOR ME. And no one else. Give me these tiles. Because they are mine. No, I don’t have anyplace to put them, but I can use them as coasters. I just love an oversized hexagon. 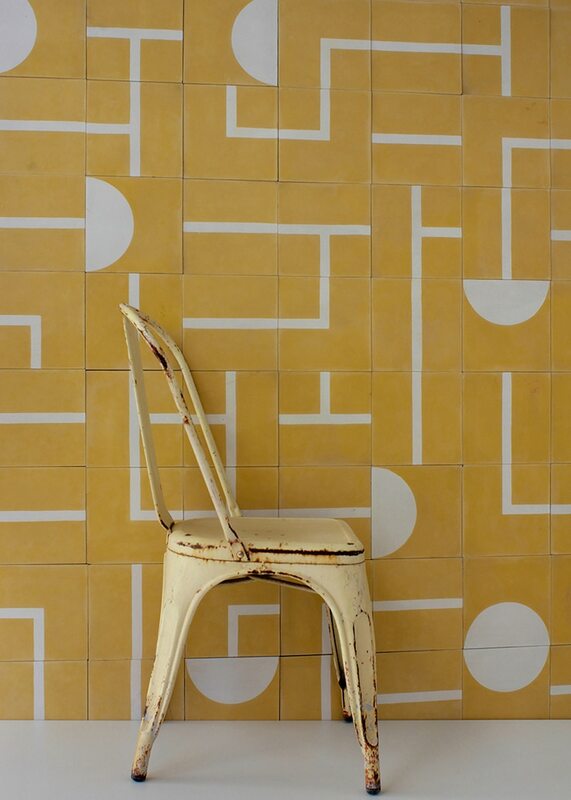 Don’t these tiles remind you of Alexander Girard’s Checker Split pattern? And that door in SoHo I’m still crazy about (but which has since been painted over—*SOB*)? Plus, lemons. I really need something to tile. That’s one of the bummers about renting. Even if you have a very cool landlord who would most likely be totally fine with you doing it, you kind of don’t want to make the financial investment. Maybe I need to tile a concrete patio table or something. All photos via Popham Design. Follow them on Instagram! Oh wow, thank you — really needed this today, something glorious to feast upon … we all need more beauty and function to dream about. 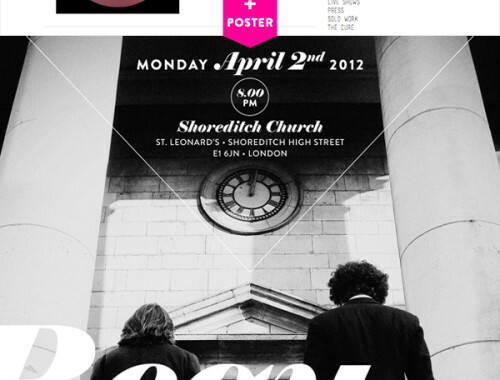 Off to feast via the website. maybe your landlord would allow a cut in rent for a month if you tiled :-)!? HAHAHAHAHAHA. My landlord is very kind about pretty much giving me free reign to make improvements to the house (at least now that he’s seen the kind of work I do, he is), but he’s the kind of guy who (a) isn’t going to “fix” something that doesn’t need fixing, and even if it did need fixing, he’d likely want to go with the cheapest option possible. To his credit, he’s done an incredible job keeping this house essentially in original condition essentially because he doesn’t believe in making unnecessary renovations. Oooh, love these!! 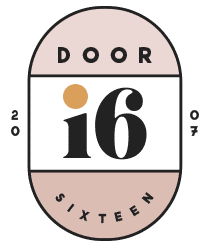 And I’m still about that door in Soho being painted over, too. It was so good. It really changes that block!! I used to use that door as a landmark to orient myself, and I still find myself look for it—even though it’s probably been about 5 year now (at least) since they painted over it. Such a bummer. I love Popham Design, I find their backstory fascinating too. But I would never be cool enough to pull the trigger!! Their IG account is so fun. 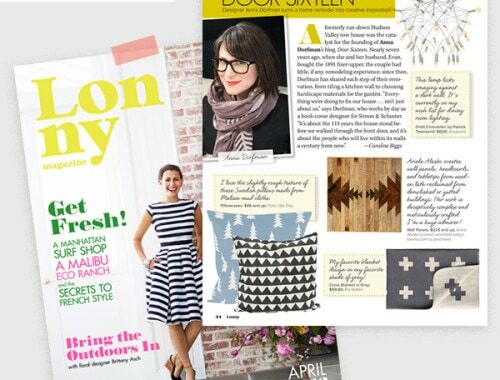 Agreed that something of theirs would be fabulous for your porch!! Yes, the frustrations of renting. You just reminded me of the black wrought iron end table with hairpin legs that I found on the street in Brooklyn about 20 years ago (that has since been passed on). I tiled the top with crappy tiles from Lowe’s, but these would’ve been so much better. that first one sorta looks like stylized agave, which I am super into. Also, this place in oaxaca does them in collaboration wth Mexican artists. 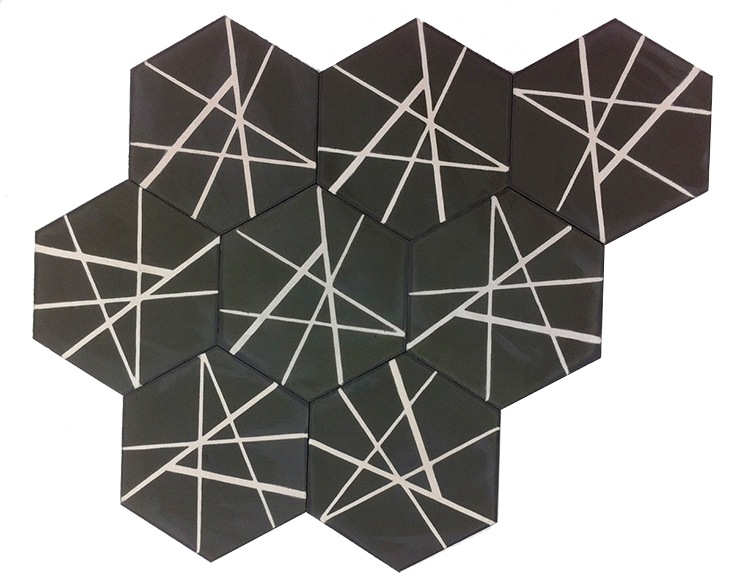 The tiles by Francisco Toledo feature barbed wire, scorpions and bats for your inner goth: http://www.mosaicosoaxaca.com/portfolio-item/francisco-toledo/. in person they are amazing. 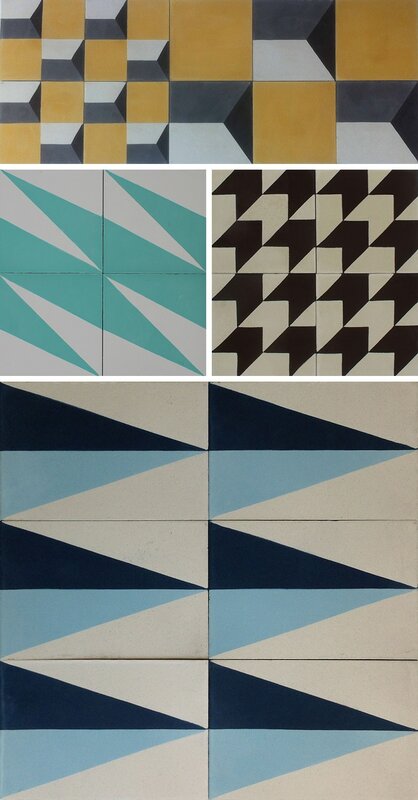 I keep coming back to this post to gaze at these tiles. They’re exquisite. I need more tile-able surfaces in my life. This totally cracked me up: “Sometimes I feel like people I’ve never met and who have never heard of me are accidentally designing things that are definitely FOR ME.” It’s such a delight to read all your new blog posts. No pressure, but–hurray!